SAN FRANCISCO, Calif. and MERRILLVILLE, Ind., February 9, 2017 – The newest innovation in shaving cream, introduced by Pacific Shaving Company, is shaking up the wall of cans and tubes in the personal care aisle. 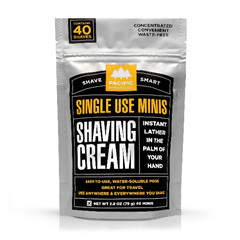 The new Single-Use Shaving Cream Minis deliver shaving cream in a packet that dissolves with water in your palm to provide a moisturizing lather. 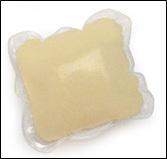 The product is now available at Target stores nationwide.